HEM APRÈS COSES QUE JA SABÍEM COM ARA QUE LES LLAVORS PER CRÉIXER NECESSITEN TERRA, AIGUA I SOL, I D'ALTRES NOVES, QUE LA PART QUE ENS MENGEM D'UNA PATATA ÉS L'ARREL! EL QUE MÉS ENS HA AGRADAT ÉS HAVER CUIDAT UNA PART DE L'HORT DE LA LALI, REGANT ELS ENCIAMS I LES CEBES. 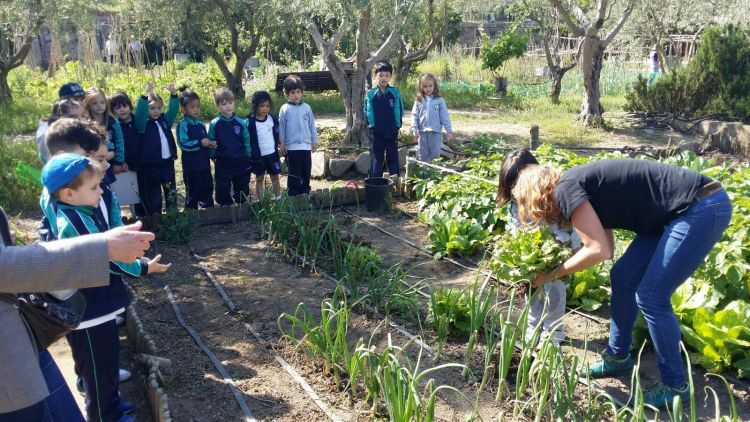 N'HEM POGUT ARRENCAR UNES I PORTAR-LES A L'ESCOLA I TAMBÉ PLANTAR UNES LLAVORS D'ENCIAM MERAVELLA QUE HEM PORTAT A CASA I QUE CUIDAREM MOLT!